About Us - Strategic Advancement Inc.
Senior-level executives expect and deserve senior-level advisors. Our decades of experience in Human Resources Consulting , Management Consulting, Executive Coaching, administration, commercial law, litigation and municipal law for private and public corporations, government entities, educational institutions, consulting firms, start-ups and family-owned businesses have earned us the confidence of business leaders locally, nationally and globally. Andrew Borkin, President and Chairman of the Executive Management Committee of Strategic Advancement, Inc., is a dynamic senior-level business executive with seasoned expertise in management, human resources, executive coaching and administration. His approach to transforming challenges into opportunities involves innovation, focus on the bottom line, and a dedication to maintaining the highest standards of quality and service. Prior to forming Strategic Advancement, Inc. in 1994, Andy spent over six years with a leading New Jersey human resources firm, where he rose to the position of senior vice president. In this capacity he was responsible for increasing the firm’s market penetration in the New York, New Jersey and Connecticut area in outplacement, executive coaching, recruitment, training, organizational development, and human resources consulting. Andy’s career spans more than 25 years in consulting, business, education, and government sectors. He has held human resource management positions at Fortune 500 organizations, including Amerada Hess, a $7 billion oil company; the Data Systems Group of Perkin Elmer, a $250 million manufacturer of minicomputers; and L’Oreal, a $2 billion cosmetic manufacturer. He was vice president of manufacturing and administration, in addition to serving on the board of directors, of Heraeus Amersil, a $40 million manufacturer of quartz for the fiber optics industry. He also had a management role at Itel, a $90 million computer service and leasing company. Andy began his career as a veteran’s counselor for the State University of New York. He is a founding member of Global Outplacement Alliance, a cohesive network of national and international career service specialists. He also served as the Executive Director of the International Society of Pharmacometrics (ISOP). 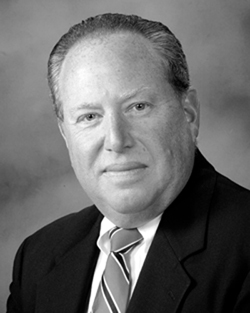 Andy is the Secretary of the Hunterdon County Planning Board and is secretary of the Raritan Valley Community College Foundation Board, where he previously served as secretary. He is a frequent featured speaker at industry conferences and seminars on human resources and management issues. Andy holds a Bachelor’s degree in history from State University College at Fredonia and a Master’s degree in personnel administration from the State University of New York at Albany. He served four years in the United States Air Force as a First Lieutenant.